Okay, I admit, I may have laughed because of the shock value, once, but let me tell you, I was ashamed of myself. I abhor judgement and prejudice. In my opinion, Seth McFarlane has left no stone unturned. Family guy is unmerciful to women, every race and every religion. I will be forever amazed by the ratings and popularity that this show has received while being consistently violent, racist and sexist. 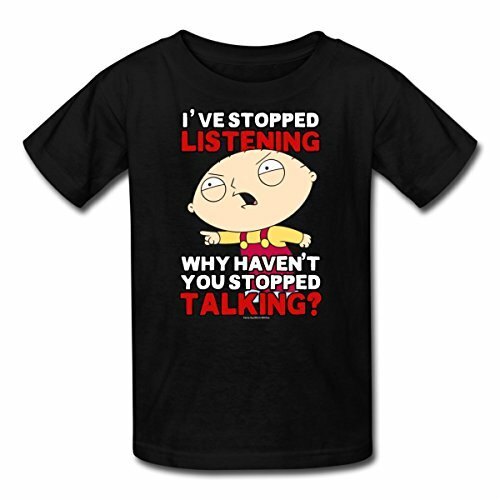 What bothers me more than that, is when I see a four-year old wearing a Stewie shirt…seriously? What are we teaching our children? Or… worse yet an infant. I’m met with, “Why mom? It’s funny!” in unison. In response, my kids laugh until they can’t breath. We have repeated this conversation again and again throughout the years, to no avail. I continue to cringe each and every time I hear the Family Guy theme song blaring from the other room. Oh, dread! 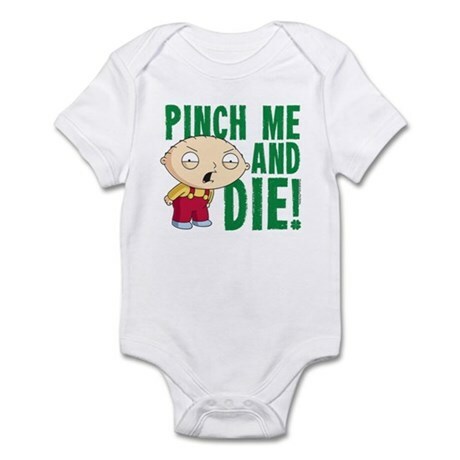 I stand by what I say, and my kids think that I just take Family Guy all too seriously. We were living in North Carolina when my kids were young. One day, my son Rocky got off of the school bus with a black eye, a real shiner. “Rocky what happened to your eye?” I asked. “A girl called me “Cracker” and then she punched me.” He replied. “Oh, my God! I’m calling the school and the bus company!” I stated. “Mom, don’t.” Rocky pleaded, as I got some ice and wrapped it in a towel to apply to his swollen face. “Mom, my eye hurts.” Rocky said. I talked to the school, the bus company and met with the girl’s parents. We worked it all out but Rocky was afraid to go back to school and he was obviously embarrassed. I got an idea in my head, and when I get an idea, there is no stopping me. We were all going to watch the 1977 miniseries Roots, as a family. I thought it would be a good way for my children to learn about racism and discrimination, as well as, the perfect time to turn a set back, into a life lesson. As fate would have it, within days, I just happened to find the entire Roots video series at a local consignment shop for only twenty dollars. I was elated! I was on the right path and the universe was working in my favor! “Okay everybody, tonight we are watching Roots, as a family!” I announced. “It’s a movie that I watched as a kid. It was on television. We’re going to watch a segment every night.” I explained. “Well, so we can learn about discrimination, racism, slavery and… well, history.” I replied. “Didn’t a lot of them get sick and some of them died trying to get free?” Eric added. “Yes.” I said, surprised and impressed with my children’s knowledge. “You both must have been paying attention in history class!” I exclaimed proudly. “You’re not going to watch Roots? Why not?” I asked, feeling my pride slip into disappointment. “How do you know all about slavery?” I asked. “We watched it all on an episode of Family Guy.” They replied. My heart sank. So much for family movie night. I do have to hand it to Seth McFarlane, I never saw the episode, but my children had learned some history. None of that has changed my opinion of all of the detrimental things that I feel Family Guy offers. Writing this, I felt compelled to googled Seth McFarlane. He is self-made and pretty impressive. And guess what? This dude can sing! Don’t believe me, check out the video below. And after watching that performance, I think that you may have been a little off target on your calling. Micheal Buble’ look out, Seth McFarlane may be giving you a run for your money. Imagine that! And, Seth McFarlane, if your schedule allows, do you think that you might be available to sing at my wedding? Thanks. Working three 15 hour days in a row will cause you to write strange things… Apparently.